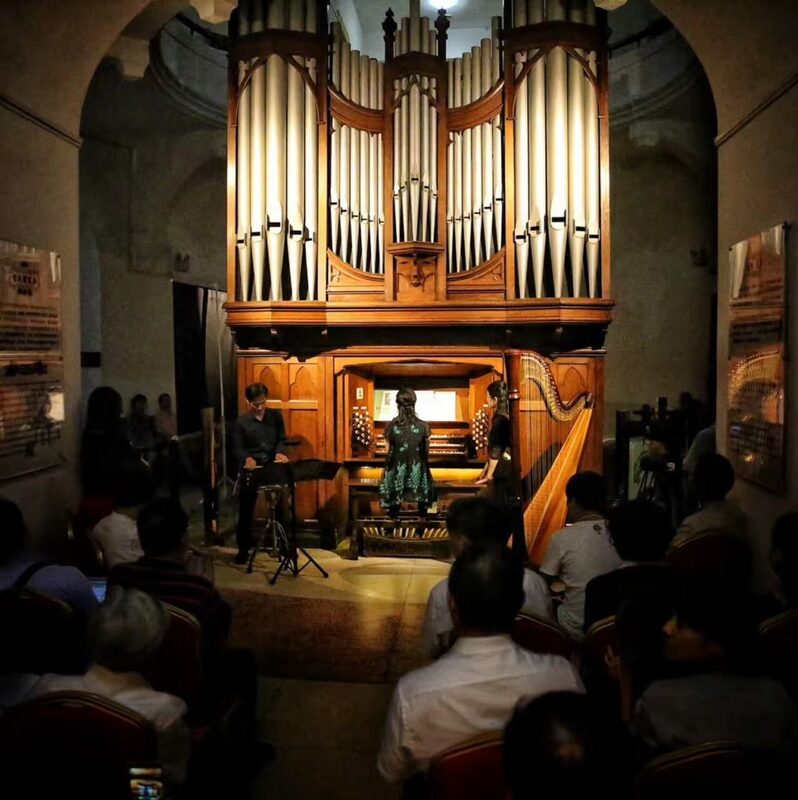 The 2017 Kulangsu Music Festival ended a successful week with a completely unique closing concert in the Organ Museum, featuring Chwen-Huei Tsai, Chair of the Taiwan Organ Society; Jer-Huei Chen, Percussion Principal of the Taiwan Philharmonic; organist Hsiang-Yu Chen; and concert harpist and recording artist Hsin-Yi Chen. 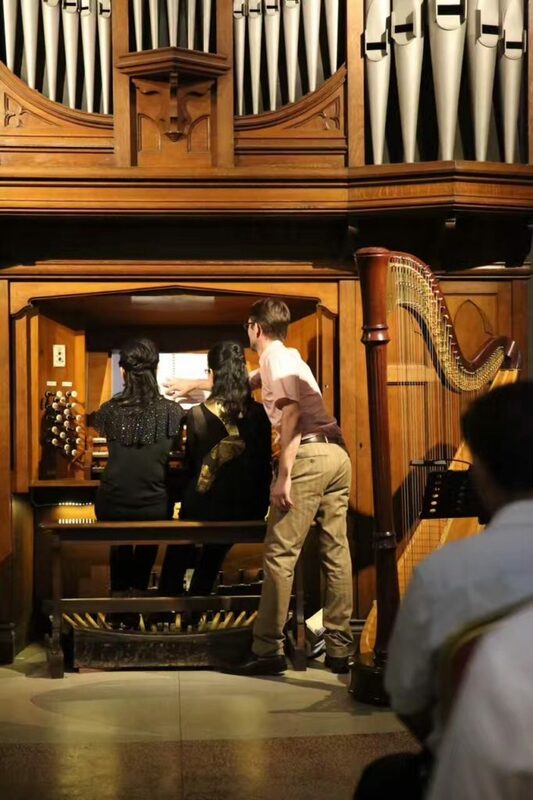 Seats were set up for the audience on three sides of the giant pipe organ, which was personally hauled to Kulangsu from Europe and re-assembled by Australian organ expert Ian Wakeley. 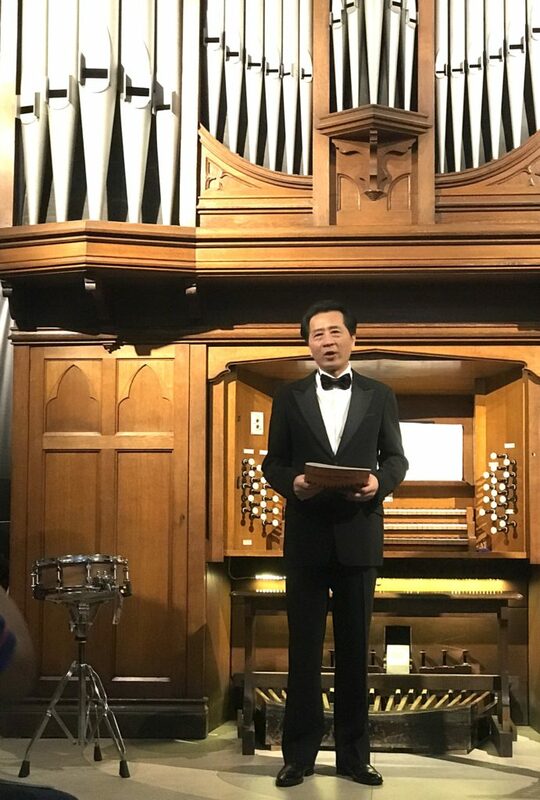 Wakeley, who comes to Kulangsu several times per year to tune and maintain the museum’s imposing collection of organs, also performed in the concert as the operator of the pipe organ’s push-and-pull levers. 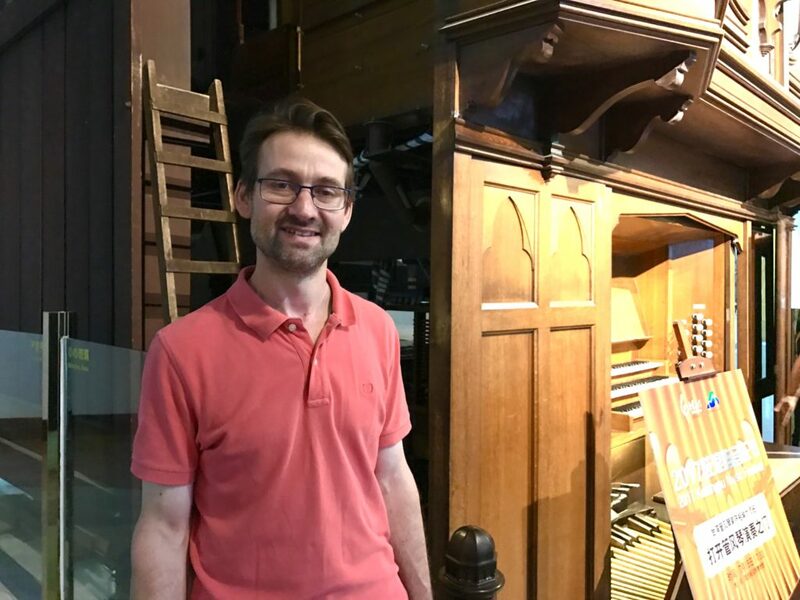 Wakeley has been working extra-hard during his visit this summer to get the new branch of the organ museum ready for opening later this fall. The evening began with a complex contemporary interpretation of Kulangsu’s unofficial theme song, “Gulangyu Zhi Bo.” With Tsai’s hands and feet moving keys and pedals at light speed, Wakeley was positioned behind her, scampering back and forth just as quickly, pushing and pulling the levers with verve. Several minutes of complex arpeggios and jazz riffs later, the main theme came in and the audience chuckled in recognition. In “The Voice of King,” Tsai and Chen played a piece for four hands with a more churchlike feel. Next came pieces for organ and harp that ranged from beautiful to whimsical (Mexican Hat Dance). The tension built with a contemporary piece by Yaming Hsu called “Gradual Psalms” duet between Tsai and Jer-Huei Chen, Percussion Principal of the Taiwan Philharmonic, who began with a virtuoso snare drum set worthy of a rock stage before the pipe organ joined in. Next was Rheinberger’s Passacaglia, like Catholic procession music with a few bluesy moments thrown in. This was followed by Widor’s Toccata from Organ Symphony #5, an impressive and worthy finale that exercised the organ to its limits with big, rolling minor and major chords and fanciful cadenzas. 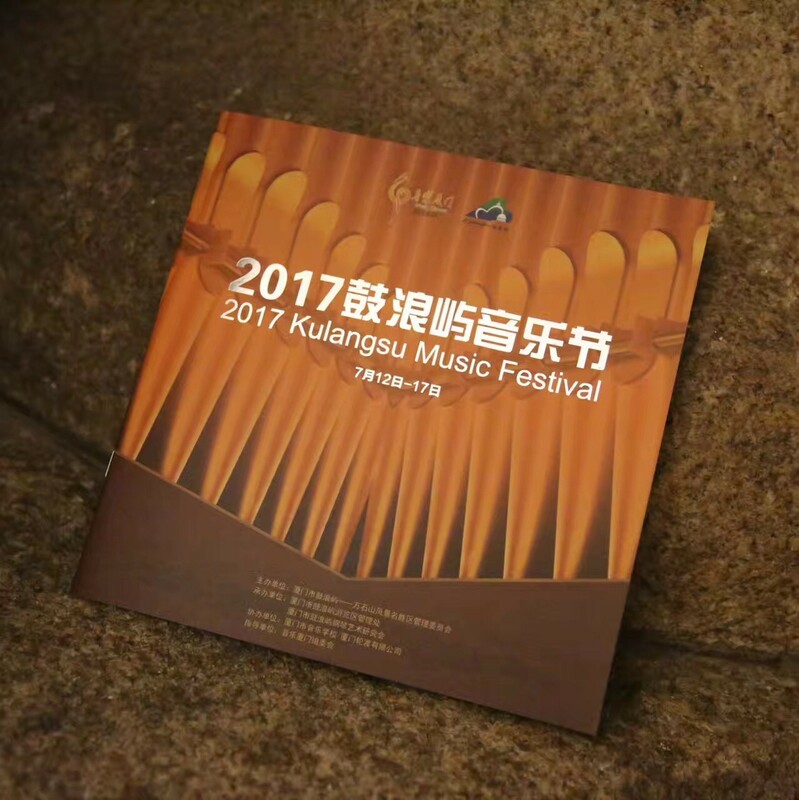 With this memorable finish, along with a hearty round of applause, the 2017 Kulangsu Music Festival drew to a close.